Heal the Bay successfully negotiated an amendment to the requirements that offered a final compliance deadline extension of three years in exchange for municipalities or the county adopting ordinances that ban plastic bags, expanded polystyrene food packaging (Styrofoam), and smoking in public places. The city and county of Los Angeles supported the proposed change and then the Regional Water Board approved the source reduction incentive. The three-year compliance extension should be a major incentive for cities and the county to move forward with strong source reduction ordinances targeting the most prevalent types of trash Heal the Bay sees at beach cleanups. A critical component of the measure targets so-called nurdles, the BB-sized preproduction pellets used by the plastic industry to create thousands of products. The regulation strengthens the requirement of a previously enacted state law that forbids nurdle discharge from industrial facilities that handle, use or manufacture the pellets. Fish, birds and other marine organism often mistake nurdles for food, such as fish eggs or zooplankton. 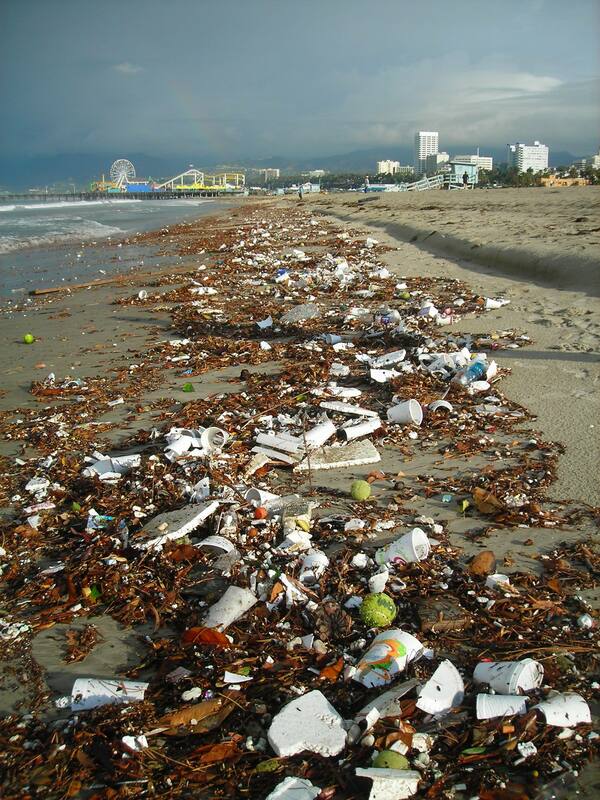 Strengthening the law through the Santa Monica Bay trash regulation should greatly reduce the enormous number of nurdles discharged to our beaches, Bay and the Pacific. Cities and the county need to develop and implement trash and nurdle monitoring and management programs within the next two to four years. Every year, Heal the Bay leads more than 400 beach and river cleanups in the region. The trash and debris that the thousands of volunteers pick up every year is nothing less than staggering. With the Regional Water Board’s national leadership on trash Total Maximum Daily Loads, it is only a matter of time before our beaches look almost as clean after a rain as they do in the summer. Just as important, the gargantuan volumes of plastic flotsam and jetsam that cover the Bay’s sea floor and wreak havoc on marine life will finally be reduced. For the sake of our rivers and oceans, I hope the region’s approach to reducing trash in our waterways serves as a model for the rest of California and, indeed, the nation. Shocking photo. Thank you. Hope the new limits help .Good luck Santa Monica.